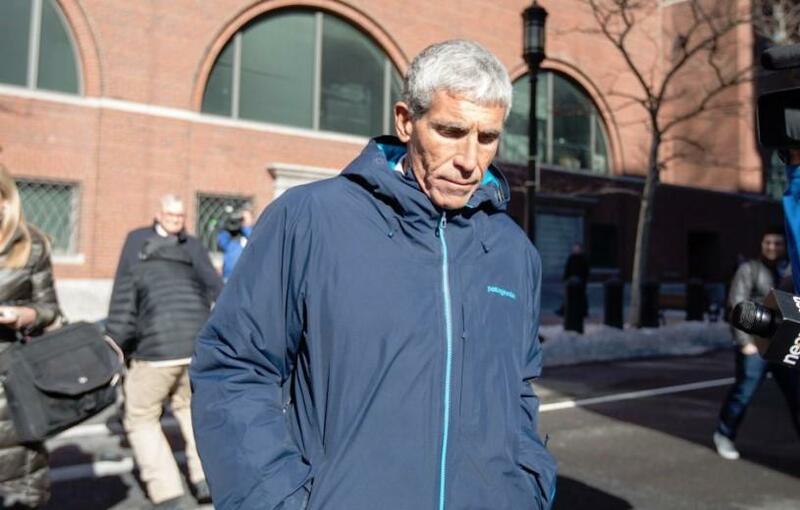 Since being unveiled as the mastermind behind the world's largest college admissions scandal, William "Rick" Singer has been the focus of a growing list of questions, the most recent being: how did he gain credibility to begin with? Specifically, people have been looking at how Singer became such a popular figure on the financial services speaking circuit. Describing one event he spoke at called “Raising a Balanced Child in an Affluent Environment” (yes, that's actually what it's called), one parenting expert who shared the stage with Singer said that he "...had the magic elixir that would get your kid into school,” according to a new Wall Street Journal article. There was no question that Singer ran through elite circles in finance, technology and entertainment, but there have been ongoing inquiries about how he was able to recruit so many parents over such a long period of time. The answer appears to be: networking with large financial firms and elite high schools. On one hand, Singer did actually provide some legitimate college guidance services, while at the same time operating the illegal scheme that he is now known for. According to the article, Singer's "guarantee" became an open secret among parents in some affluent circles. At one Freestone Capital Management event, Singer was brought in after a colleague heard him speak at an Oppenheimer event. Gary Furukawa, Freestone’s founder and senior partner, said: "He’s a heck of a speaker. He knew how to hit all the hot buttons for ambitious people who are really wound up about their kids." It was in these speeches that Singer encouraged parents to "create a brand" for their child. Singer listed work with financial services companies like Oppenheimer and Morgan Stanley on his website and on social media. Oppenheimer, of course, said it had "a very limited relationship" with Mr. Singer’s foundation. According to the article, Singer's firm was on Morgan Stanley‘s list of "referral organizations". PIMCO, whose ex-CEO was implicated in the investigation, invited Singer to speak about the college admission process several times and the company said that some who attended the speeches would use his "legitimate" services. He also met prospective new clients through YPO, a global network for business leaders. He spoke at two of their local chapter events, years ago. 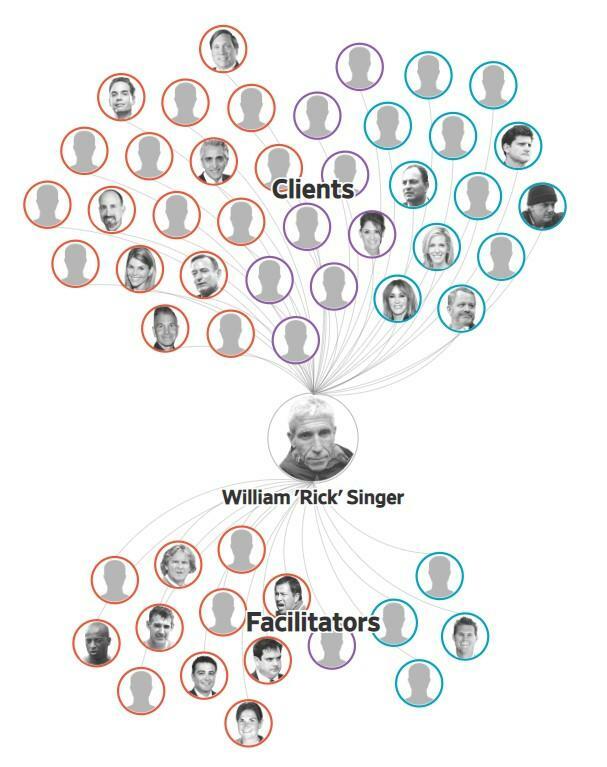 Court documents revealed that financial advisors often sent clients to Mr. Singer, as well. For instance, in November 2017, an LA based financial advisor emailed Singer introducing him to a parent that wanted to "make a donation". Singer then sent Yale's women's soccer coach at the time, Rudolph Meredith, the girl's resume, along with a bogus athletic profile that falsely described her as co-captain of a prominent soccer team. Singer ultimately paid Meredith $400,000 to designate the applicant as a soccer recruit and after she was admitted, her family paid Singer an astounding $1.2 million. Singer was also well known at several elite private high schools in California, like the all-girls Marlborough School in Los Angeles. The daughter of one defendant, Agustin Huneeus Jr., attended Marin Academy. Another elite high school, Sage Hill School, along with Marin Academy both said that they didn’t have a relationship with Mr. Singer. 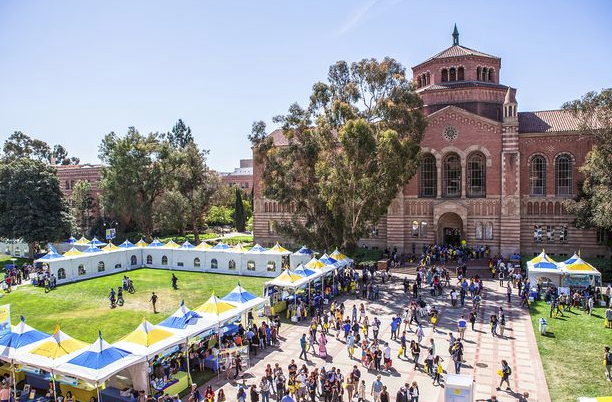 As a result of the scandal, UCLA's Men's Soccer Coach and former U.S. Men's national team player Jorge Salcedo recently resigned. Recently, we also wrote about how students were being encouraged to fake learning disabilities in order to cheat on college entrance exams.